Paavo Tynell (1890-1973) was an industrial designer, known as the great pioneer of Finnish lighting design and fondly dubbed as “the man who illuminated Finland”. Tyne was one of the founders and chief designers of Taito Oy – the first industrial producer of lighting fixtures in Finland. With the innovation of electricity in the beginning of the 20th century, Taito Oy and Tynell expanded the thinking and manufacturing of modern lighting solutions in Europe and abroad. Paavo Tynell rose to prominence in the 1930s and 40s where he collaborated with some of the most renowned Finnish architects, Alvar Aalto being the most notable one. Working to incorporate artificial lighting into modern environments, Tynell’s company Taito Oy produced fixtures for all of Alvar Aalto’s major projects including the Paimio Sanatorium and the Viipuri Library. Tynell was especially appraised through his involvement with the Finland House, a design atelier in New York that showcased the work of Finnish designers and craftspeople. His elegant brass designs became an instant success in North America, and he began creating lighting designs for the prestigious American company Lightolier. 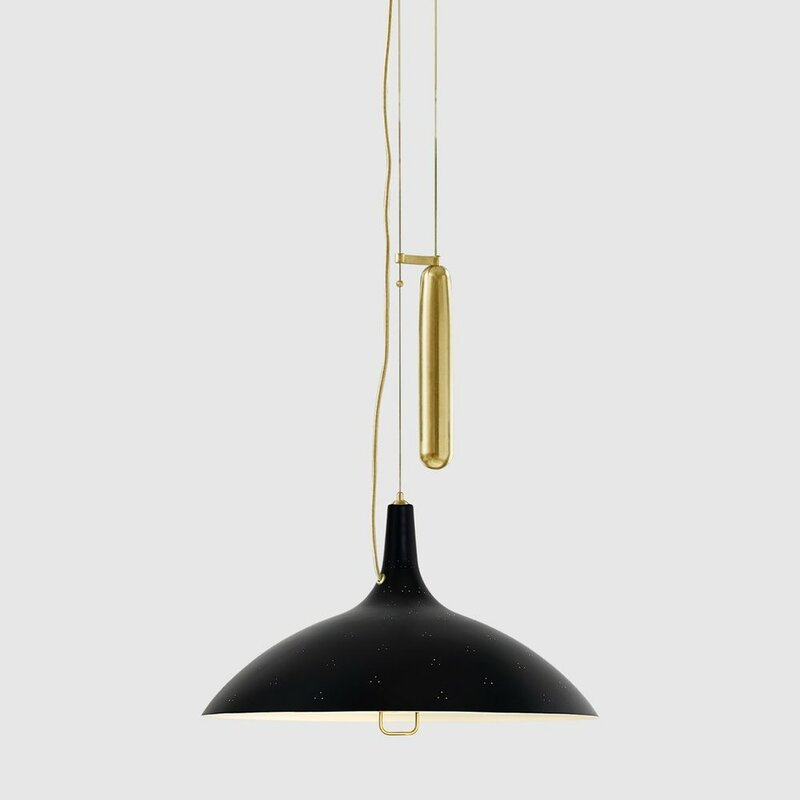 A master craftsman himself, Tynell’s designs were derivative of a traditional aesthetic with a modern sensibility, mixed with an extensive use of perforated and polished brass as material. Marked by delicacy and softness, his most famous forms in lightning echo the structures of nature; he adroitly created sculptural shapes reminiscent of the branches of trees, swirling snowflakes and seashells. 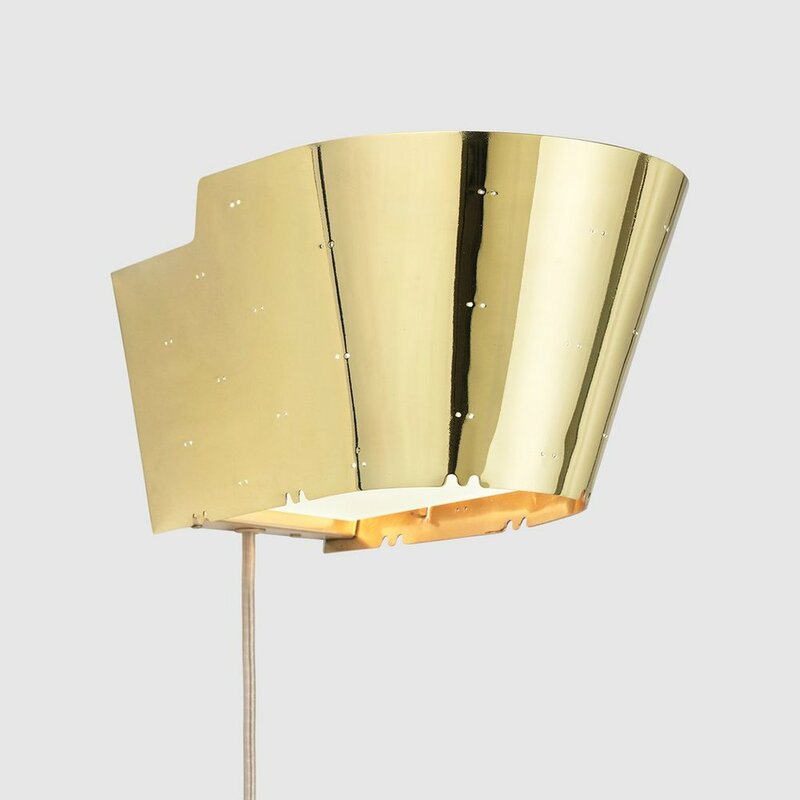 Today Paavo Tynell lamps and lighting are highly sought after by an international clientele of collectors and prices of his most important pieces have lately soared on auctions.